WHETHER you’re resident or non-resident in Spain and own property on the Costa del Sol as a private individual or through a company, if you let it, landlords are liable to pay taxes on any income earned. Following the passage, in February 2016, of a new law in Andalucia regulating holiday rentals, I’ve already written about the rules and regulations landlords must comply with and the importance of registering your property with the regional tourism authority. But what we’ve not looked at, so far, are the fiscal implications of short-term letting a property on the Costa del Sol, most likely to holidaymakers, from the landlord’s point of view. So, I talked to our friendly neighbourhood lawyer, Adolfo Martos Gross, of Costa del Sol law firm GAM Abogados. 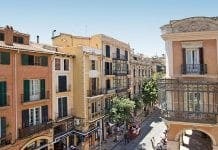 The general rule, Adolfo explains, is that if you earn any income from a property you own and let in Spain, you are liable for taxation, although the kind of tax and how much you pay depends on where you reside for fiscal purposes and who (or what) you are. For our purposes, there are four classifications of taxpayer in Spain: a resident individual or company and a non-resident individual or company. Individual tax residents of Spain are required to declare any income they earn and pay tax under the Impuesto sobre la Renta de las Personas Físicas (IRPF, income tax), Adolfo says, while companies that are resident in Spain are required to declare their revenues and pay tax under the Impuesto sobre Sociedades (corporate tax). Individuals pay IRPF in line with a sliding scale levied on total earnings during a fiscal year, while companies generally pay corporate tax at a flat rate of 25% on any profits. For individuals and companies that are not resident in Spain, Adolfo notes, things get a little more complicated, as where you reside is also relevant. Both are required to pay the Impuesto sobre la Renta de No Residentes (IRNR), which is levied at different rates depending on if you reside within or outside the European Union. Tax residents of other EU member states are liable to pay IRNR at a flat rate of 19% on any income or profits earned in Spain, while residents of the rest of the world are required to pay IRNR at 24%. Another big difference between tax residents and non-residents, Adolfo adds, is how often you have to pay. Residents are required to declare income earned from letting property as part their annual IRPF tax return to the Agencia Tributaria (AKA Hacienda, Tax Agency) and settle any taxes due in June of the following year. Non-residents, on the other hand, have to pay on a quarterly basis, within a period of 20 calendar days after the end of the quarter. With the exception of those resident outside of the EU, Adolfo says, landlords are able to deduct costs arising from the maintenance of the property, although this does not include improvements; financial costs, such as interest on mortgages or loans used to buy the property, although not the capital; and any taxes, charges or other running costs, including the Impuesto sobre Bienes Inmuebles (IBI, property tax), refuse collection, insurance, community fees and depreciation, arising from the property that is being let. Last but not least, Adolfo says, is the Impuesto sobre el Valor Añadido (IVA, value-added tax or VAT), which is levied on goods delivered and services provided. In most cases, this is not applicable as property letting is exempt from IVA, meaning landlords in Spain are normally not required to charge IVA or declare it. If the tenant sublets the property to a third party, however, the original let is subject to IVA. But if the property is let on a basis where services, such as daily cleaning, catering and the like, are provided, then IVA must be charged at the reduced rate of 10% and landlords are required to make quarterly IVA declarations and pay the corresponding tax on an annual or quarterly basis, in accordance with their fiscal residence status. Today my wife and me do not rent our apartment to guests and therefor have only to declare once a year the impuesto for non-residents. As each of us owns 50% of the property and as a parking place in the same building is connected to the apartment, we have to send 4 declarations of impuesto for non residents to the Hacienda once a year. If we decide to rent our home, Adam Neale tells us, we will have to declare 4 times a year our rental profit. Does that mean, we have to fill 4 times 4 tax declarations = 16 tax declarations for this single flat per year? 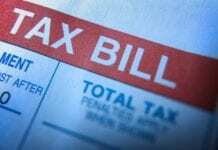 If this is the case, the cost for the tax consultant may exceed the profit of the rental! Is that true? In which case Wolfgang take Adam Neal advice and don’t rent the flat out.. Owning real estate on the CDS becomes ever more undesirable. New regulations from the Junta de Andalucia complicate renting out so much as to make it not worthwhile. IRNR is potentially going up from 19% to 24% after Brexit. Recently I got a letter from the ayuntamiento saying that the discount I get for being an “exemplary citizen”, i.e. paying my IBI on time and by direct debit, from 2015 onwards has to be declared to the hacienda as income. So that’s another 2,000 euros a year taxable. The hotel lobbying mafia have been totally successful in virtually wiping out private rental opportunities. The limited openings for “house swaps” with “no” money changing hands, is really all that’s left. My elderly Spanish neighbour continues to rent her whole villa, cash-in-hand, and advertises in the local shop windows. I asked her about the new laws and she laughed, telling me that she had a great year renting mainly to the French. I suppose if you have a good contact list of repeat clients, you can pretty much get around this new law with some ease. The take-up of new applications for rental declarations is somewhere around 8,000 in Malaga I read recently, so the project has been a failure, unless of course everyone else has stopped renting, and I somehow doubt that lol. Well David you have two choices here. Rents have been increasing on the CDS so up the rent to compensate or take a loss and pay the increase. I did the same in the UK. Anticipating the loss of the WFA a year prior, one of the properties became vacant so the rent was increased by £200 pcm giving a wonderful windfall of taxation to the Inland Revenue of approximately £600.